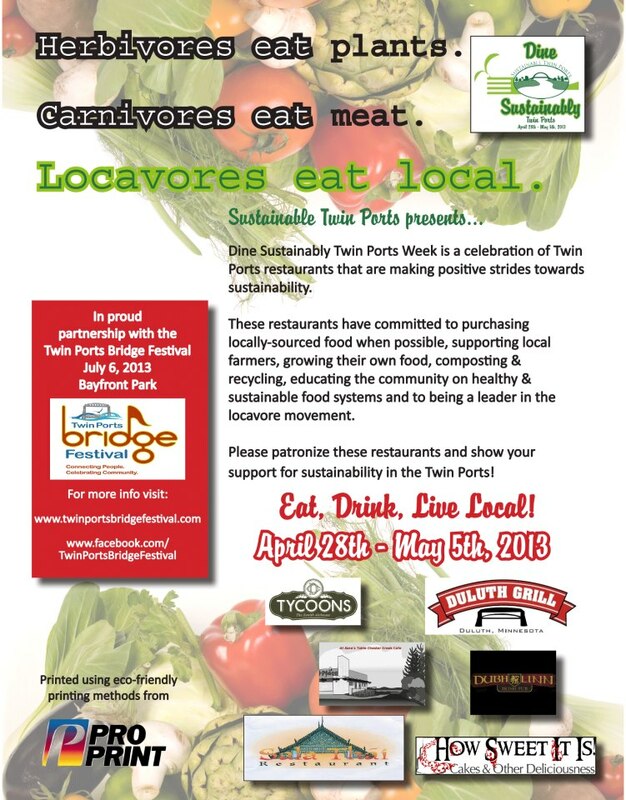 Twin Ports Bridge Festival partnered with Sustainable Twin Ports in presenting Dine Sustainably! Twin Ports Bridge Festival partnered with Sustainable Twin Ports, one of our festival sponsors, in presenting Dine Sustainably Twin Ports. During the week of April 28th- May 5th, join us in supporting local restaurants that are striving towards greater sustainability. Treat yourself to something yummy at Duluth Grill, Tycoon’s, Chester Creek Cafe, Dubh Linn or How Sweet it is. See you out there! Along with Cinema Purgatorio and KUMD, the Twin Ports Bridge Festival presents Cloud Cult: No One Said It Would Be Easy at the Zinema in Duluth. There’s only one showing – this Thursday, April 25 at 7 p.m. We’re told it will likely sell out so get your tickets asap right here. This film takes fans and the unfamiliar on a journey into the band’s colorful and passionate world, from the group’s painful and powerful origins through its first decade. Each attendee will receive a digital copy of the documentary after the movie and you’ll also be entered in a drawing for Cloud Cult’s new album and tickets to the Twin Ports Bridge Festival! See you there (we’ll meet you where you’re going). Early Discount Tickets Now On Sale! 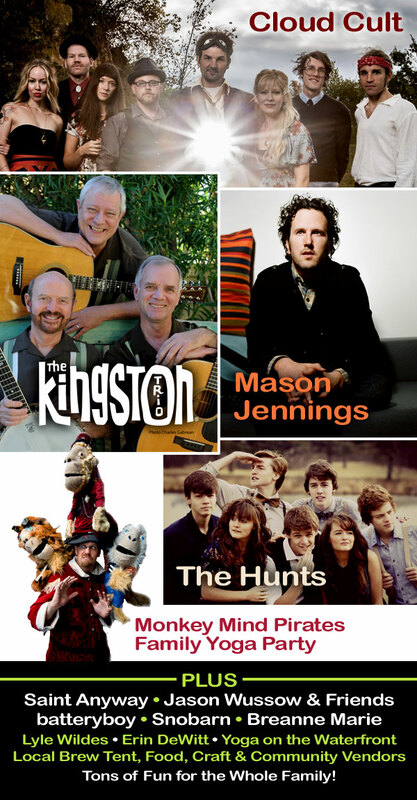 This is the lowest ticket price offered, only available to the first 2,000 ticket buyers. It’s also the most important ticket to help us grow the impact of this event. There will be some incredibly inspiring and empowering activities and presentations at the festival. Help us get them in front of people in our community who could greatly benefit from them, but are unable to attend without a caregiver or because of the cost. Our goal with the early ticket price is to raise enough by May 31 to be able to allow free access on July 6 to local organizations that may include, but certainly won’t be limited to, those that help with mental illness, disabilities, and/or disadvantaged youth. With this year’s date only two days after Independence Day, we are also hoping to be able to allow free access to all veterans. After the first 2,000 tickets are sold, our standard price of $35 for the whole day of events will apply. Love in 2013 Announcement & Intentions! Duluth, MN: The 3rd Annual Twin Ports Bridge Festival will take place on Saturday, July 6th at Bayfront Festival Park with the theme, “Love in 2013.” There will be something for everyone from toddlers to grandparents during the full day of events that includes entertainment and activities to inspire and empower all who attend. It’s about real, inherent Love, the core of our being that unites us all in moving toward environmental, economic and social sustainability.